In typical Android fashion, there's always a lot of stuff hidden under the hood and for valid reasons. 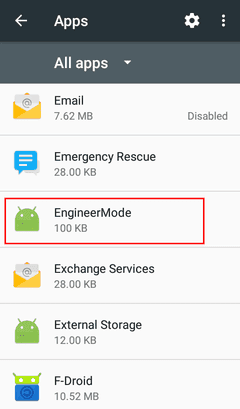 Such is the case of Engineer Mode, sometimes also referred to as Service Mode, which is essentially a system app found in most android Devices. The purpose of Engineer Mode is as the name suggests to control certain aspects of device's hardware. From what I've gathered from my experience, it seems to act essentially as a bridge between the hardware and what is expected of that hardware in the practical sense. 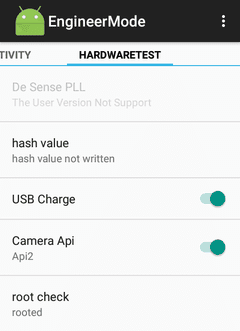 As such, it allows us to configure crucial aspects of the phone hardware not to mention run diagnostics. 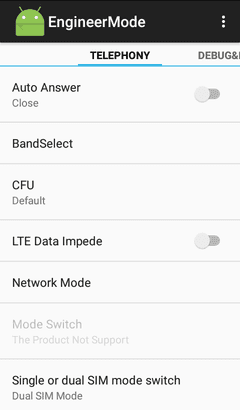 Various phone manufacturers (OEMs) use different methods for access to this mode. Like other nanufacturers, android devices powered by Spreadrum chips also use a secret code that is dialled via the phone's dialler app to access the mode. First, you may want to verify that the EngineerMode app is installed in your device. To do that just check installed apps in your App Settings (make sure to enable viewing of System Apps). The app will be launched when you enter the last star (*) i.e. you won't have to press the call button. You can watch a video demo of this on YouTube here. Getting the app to launch is the easy part, using it however requires some requisite knowledge. Suffice to say, there's a lot of technical jargon in this mode that by saying I know very little of seems rather like an undue underestimation on my part. I suppose the targeted audience for this mode is the very "Engineers" it alludes to in its name. Still, there are some useful hardware settings that you may be familiar with. Case in point is the Telephony section that allows us to configure how the phone communicates with the wireless networks of our providers, be it 2G, 3G or 4G/LTE and the various bands in use and the SIM card configuration (single or dual). Other useful sections, are the connectivity (for Wi-Fi & Bluetooth config and testing), System Update and System Info (which also includes handy CPU and Memory usage monitors). I would however still advice against changing anything here not unless you're relying on a reputable source of information. Otherwise you run the risk of probably not damaging your device but most certainly making it unusable, that is, configuring it the wrong way so that it may not work as expected though the hardware is perfectly sound. You've been warned.